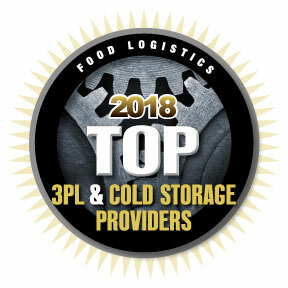 LAKE SUCCESS, N.Y. – August 16, 2018 — Food Logistics, the only publication exclusively dedicated to covering the movement of product through the global food supply chain, has named Transervice Logistics, Inc. to its 2018 Top 3PL & Cold Storage Providers list. For the complete article, please click here. For the awards chart, please click here.